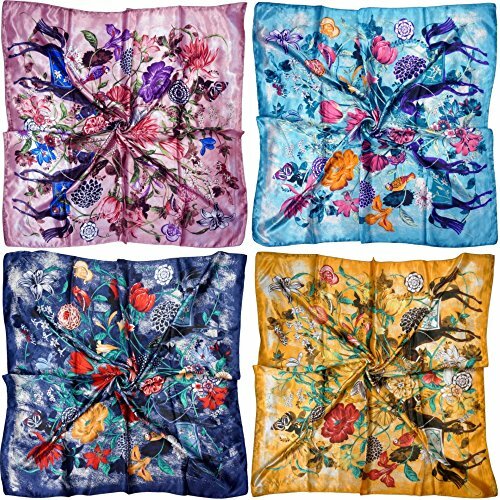 4 Set of large satin square scarves by LilMents. Each scarf measures approximately 90 x 90cm. Suitable for use as a fashion neck scarf, hair tie, waist tie as a fashion highlight.